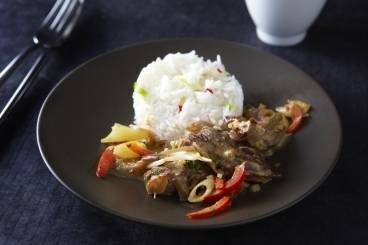 A sweet and spicy duck thai curry made with coconut milk and served with fragrant jasmine rice. 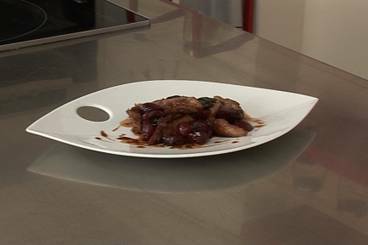 Pan-fried duck breasts glazed with honey served with a salad of endives, walnuts and lardons with a sweet mustard dressing. 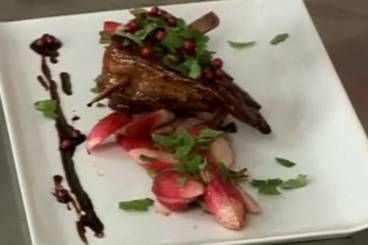 A crisp confit duck leg served on a bed of braised puy lentils, carrots, celery and leeks finished with abalsamic vinegar reduction. A hearty filling quick meal using readily available supermarket ingredients! Slow cooked duck meat served in a pancake with spring onion, cucumber and a homemade plum sauce.